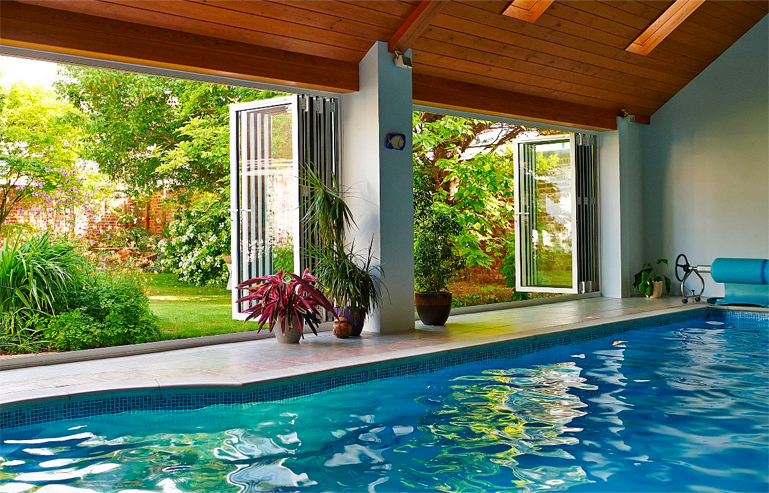 Our series of slide-folding doors offer impressive opening apertures that can unite internal and external areas creating unique living and social areas. Suitable for both residential and commercial applications. 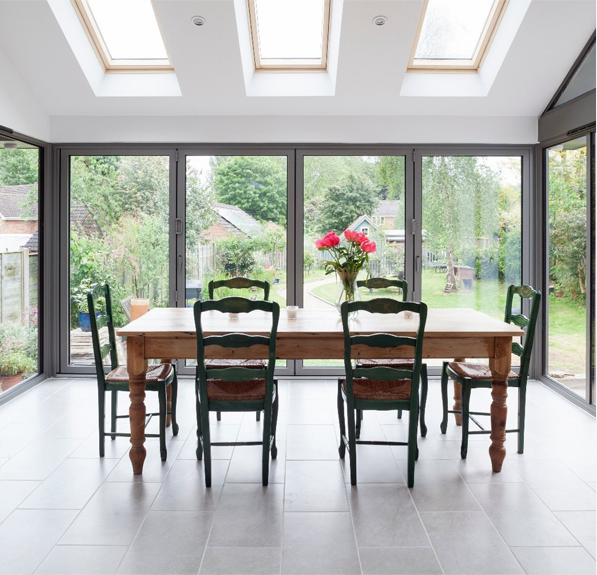 Our aluminium bi fold door can be used in domestic applications as either an alternative to sliding doors, or to open up an entire wall as part of a conservatory; the system will make the most of a beautiful view or bring a garden into the home. 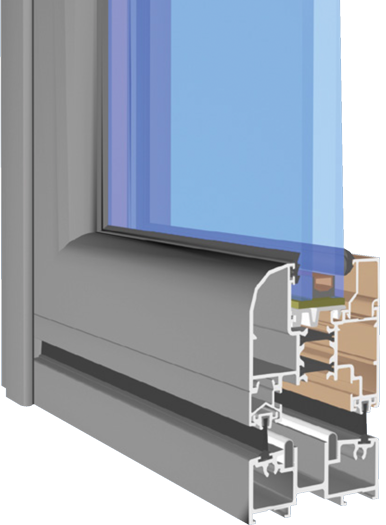 All bi fold profiles feature a polyamide thermal break that enhances the thermal performance of the profile and improves the overall U-Value. Profiles feature EPDM high quality gaskets and weather brushes to aid weather resistance. Visofold complies with the requirements of Building Regulations Document L 2010. Security is assured by multi-point lock mechanisms on main opening sashes, and shoot-bolt locking on floating mullions. 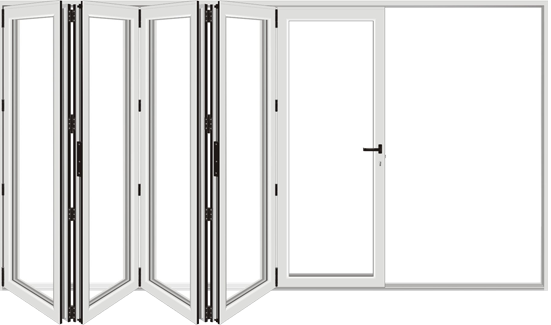 All bi fold doors have the option of either low thresholds for unimpeded, easy access, or rebated thresholds that offer improved weather resistance. These doors are available in a choice of standard or non-standard colours, including metallic, wood-structure, dual colour and Smart’s unique Sensations range of textured finishes.